I-Commerce, Ltd., has recently developed a tool to build mobile apps for smartphones and tablets (iOS and Android) inside a web browser. As a result, in several minutes you can create your own app without any programming skills and publish it on iTunes and Google Play Store. Ambrowse lets users build apps, see what they build, test it, publish it, get the statistics and immediately start advertising campaign and insert ads into their apps. 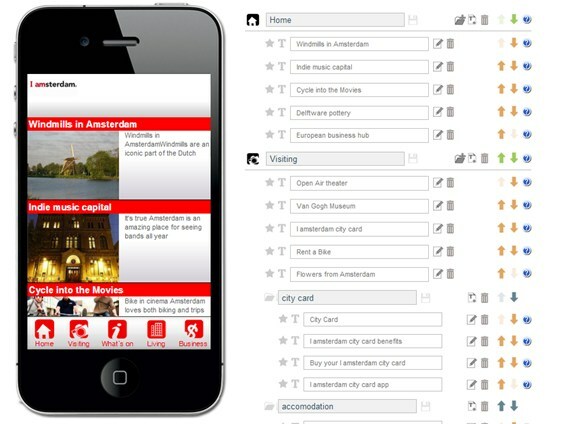 Users can create simple apps or simply select and modify one of the pre-defined templates. The advanced editing tool allows full customization of application design. Through Ambrowse the simple porting of website to native app is possible within few minutes. Finally, the tool also lets several users modify and share the app opened.